Cheekys' founder Jessi Roberts reveals how she grew one small store hurdle-by-hurdle into a national clothing and accessories brand with a one-and-a-half-million-strong community. Best of all, she did it by standing tall for her values: Always be kind, lift up the next gal, and treat employees and customers like family. 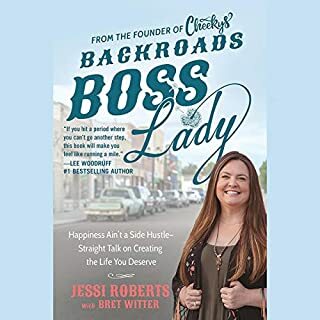 More than a business book, Backroads Boss Lady is about embracing your passion even when others don't see value in it - or you - and about putting food on the table and believing in yourself.